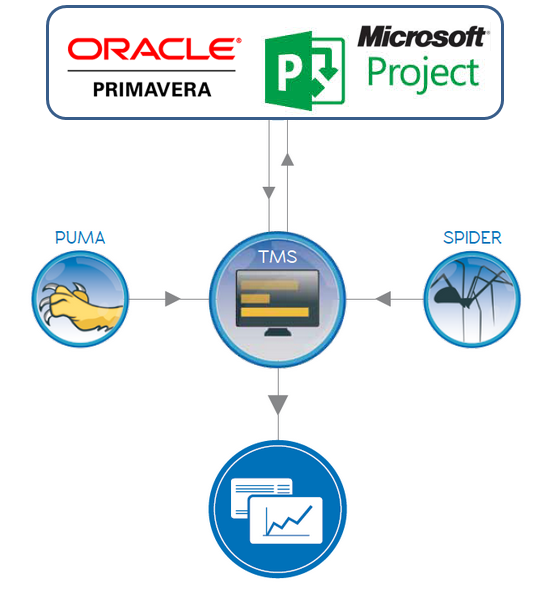 TMS is an "Add-In" software application designed to "Support & Report" the progress for any kind of project (from small and simple to large and complex) managed with Oracle© Primavera™ P6 and Microsoft© Project™. TMS has unique features not available in your Planning System with a wide range of high-quality reports (all in Microsoft© Excel™ format). TMS has internal consistency checks that will help to improve the quality of your project schedule. 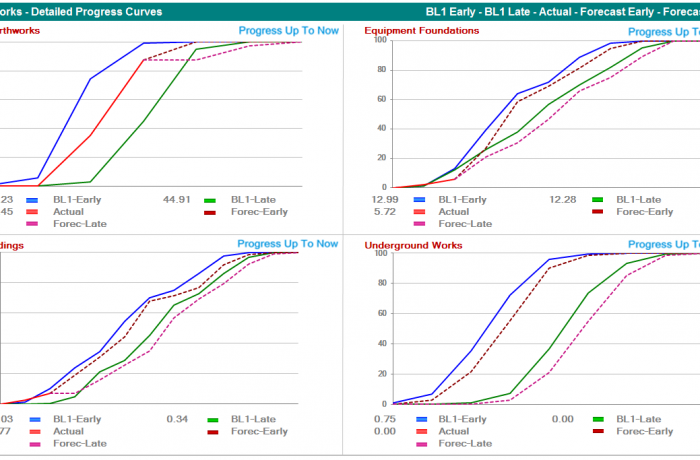 TMS has a dedicated module for Construction Progress Control. TMS has a quick learning Curve thanks to an intuitive User Interface with a powerful import/export capability. TMS can be integrated with other CLA applications like PUMA & SPIDER in order to get updated information relevant to the installation quantities. TMS is developed on the Microsoft© .Net Platform and supports Oracle©, PostgreSQL© and SQL© Server databases. TMS is a dynamic software, in continual improvement, adjusting to the specific needs of leading EPC Contractors. TMS Users are supported with a consolidated methodological approach by a dedicated team of Project Control Professionals. In just a few minutes (from "Schedule Ready"), you will have progress results allowing the User to focus more deeply on results analysis, on detection of potential problems and, if the case, on taking corrective actions. TMS is independent from the Oracle© Primavera™ P6 and Microsoft© Project™ versions as it uses exported data to Excel™. TMS provides a unified project view for all participants and stakeholders enabling deep understanding and proactive decision making. TMS can be provided "on demand" as a full outsourced service with the formula "Infrastructure as a Service" (IaaS). With TMS you will be able to improve your internal communication processes and replace multiple spreadsheets with one tool that incorporates the "best practice" and the state of the art in Project Control.